Permanent Cosmetic Training Institute of Bristol, Tennessee welcomes the opportunity to serve you! 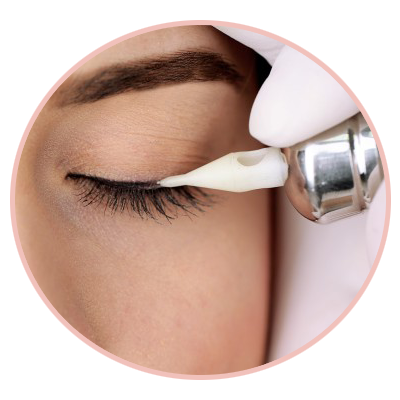 A career in the exciting field of permanent cosmetic makeup training awaits you. With our Fundamentals Training learn the art of permanent cosmetics. Join us for an in depth education in this exciting, rewarding and booming career in permanent cosmetics. This information-packed class includes step-by-step instructions, Supervised hands-on procedures and live demonstrations of permanent eyebrow, eyeliner, beautiful natural full lips, areola and scars camouflage. Lectures include OSHA compliance, State Compliance, color selection, insurance, general application, tips for beginning or advanced technicians, consultation topics, communication, business administration and procedure techniques. Fundamental classes also include the following breakdown for the 80 total hours course: 20 hour prerequisite training manual, 6 day 60 hour academic/practical clinical course. "WE WELCOME STUDENTS FROM ALL OVER THE WORLD!"